Water Peeling is one of the newer skincare treatments that’s starting to gain traction all across Asia, specifically in Japan and South Korea. 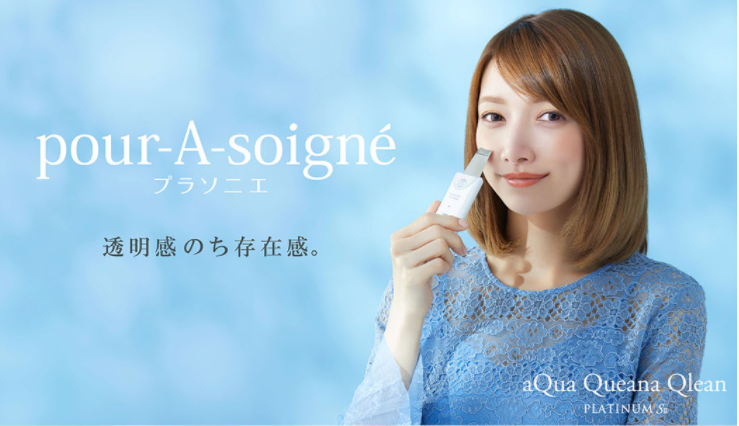 Deity Maki Goto has been chosen to promote the “aQua Queana Qlean Platinum S2” by the skincare brand pour-A-soigne. Japan’s summers are known for being unbearably humid, as a result many peoples skin are prone to more stress from perspiration and sebum. These “pore stains” can start to be a real burden on your skin. Water peeling is one of the best methods to remedy this situation. Using water and “ultrasonic waves”, the device gently removes dirt directly from your pores leaving you with a beautiful glowing complexion. Unlike other pore treatments like oils, scrubs, and masks, water peeling allegedly trumps them all due to the “ultrasonic waves” that can easily clean all the dirt and grime that’s really hidden under your skin. The device itself resembles a USB stick. After washing your face you simply turn it on and start to scrape your pores clean! Water peeling specifically targets three areas. Plugged up pores, blackheads, and enlarged pores due to sagging skin. The Qlean Platinum S2 offers two different settings. 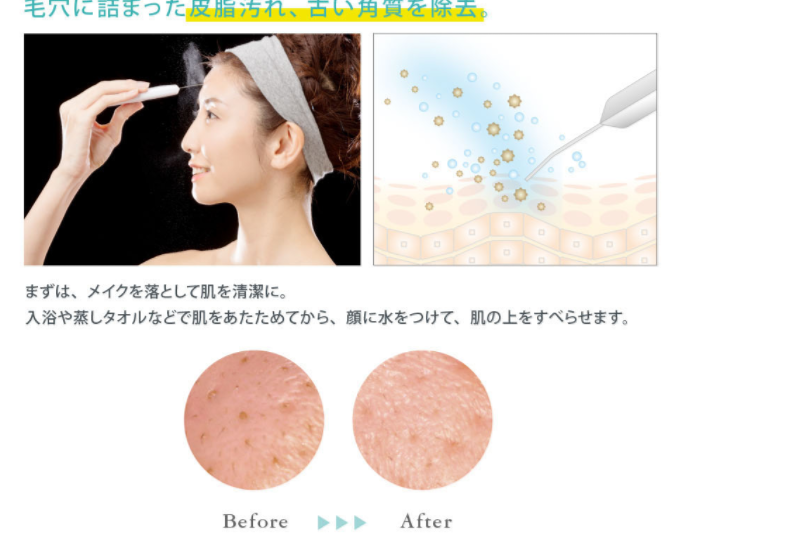 A “nutrition” mode which aims to work on perfecting your complexion by using negative ions, and an “up” mode that uses positive ions to help tighten skin. 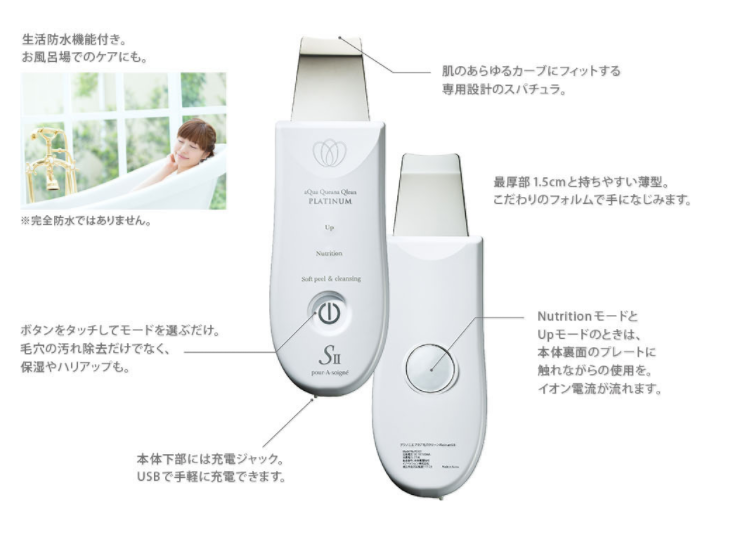 The Qlean Platinum S2 is one of Maki’s favorite facial beauty products by far, citing it’s simple and quick ease of use as her favorite feature. She further stated that it’s almost like getting a spa treatment in the comfort of your own home. Maki regularly posts makeup-free selfies on her official ameba and Instagram accounts, with water peeling no doubt playing a role in her beautiful skin. The videos below demonstrate basic water peeling in action, would you try this skin care technique?